Monarch butterflies are often found close to people, being less skittish than other butterflies, enabling us to enjoy their vivid orange and black markings up close. There are four stages to the life cycle of the Monarch: the egg, the larvae (caterpillar), the pupa (chrysalis), and the adult butterfly. 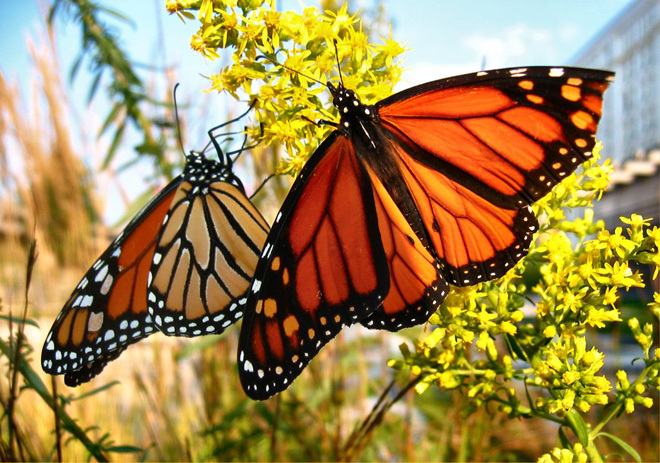 In February and March, Monarchs come out of hibernation and find a mate. Having wintered in the south, they then migrate north to lay their eggs. The female lays her eggs in March and April, on only one type of plant, milkweeds. The reason why is ingenious. Milkweeds contain a potent heart poison, which helps to protect the plant from browsing animals and leaf-eating insects such grasshoppers. In turn, Monarchs are able to store this poison within their own bodies, making themselves poisonous. The vivid colors and markings of the Monarch are a warning to their predators. 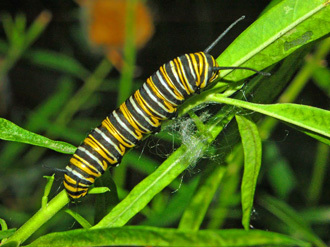 The eggs hatch in just four days, and the baby caterpillar then simply eats the milkweed for two weeks until it is fully grown. The caterpillar then attaches itself to the milkweed using silks and transforms itself into a chrysalis. 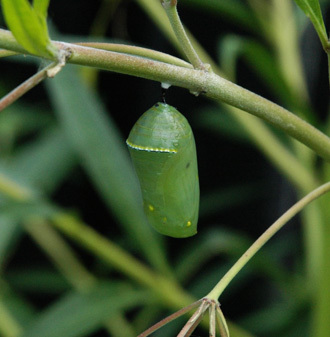 The Monarch’s chrysalis is jade green with little golden bumps. The ten days of the chrysalis stage are a time of remarkable transformation as the old body parts of the caterpillar undergo a metamorphosis. In the final day or two before emergence, the chrysalis becomes transparent, so that the orange and black wings can be seen underneath. When it emerges, the adult Monarch (like all insects) has six jointed legs, a head, thorax and abdomen, a pair of antennae, compound eyes, and an exoskeleton. Additionally it has four scaly wings, and these and the legs are attached to the thorax, which contains the muscles that enable the legs and wings to move. 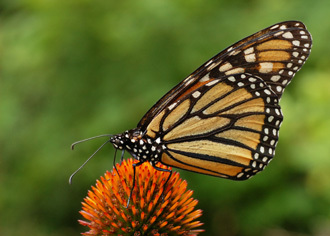 Monarchs have a wingspan of 3⅜ - 4⅞inches. The Monarchs born into the first generation of the year have a short life cycle - just two to six weeks, and will die after mating and the female laying her eggs. Four generations of Monarch are born each year, and the second and the third generation have an equally short lifespan. Things are very different for the adult Monarchs of the fourth generation. This final yearly generation is born in September and October, but the adults do not die so quickly. Since they are coldblooded, winter would kill them as the water in their body tissues would freeze. So this fourth generation of Monarchs migrate south and those from New England (and all Monarchs east of the Rockies) are believed to overwinter on forested mountain tops in central Mexico within the Transvolcanic Range. 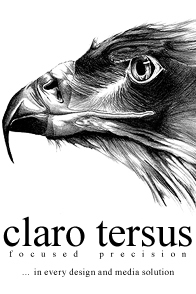 Most of the roosts are located about sixty miles west of Mexico City. These Monarchs will live for six to eight months until the process begins again the following year.